I did another art project for my nephew yesterday (or more accurately, for his teacher who doesn’t really give a damn who does the project as long as it makes her classroom look nice). 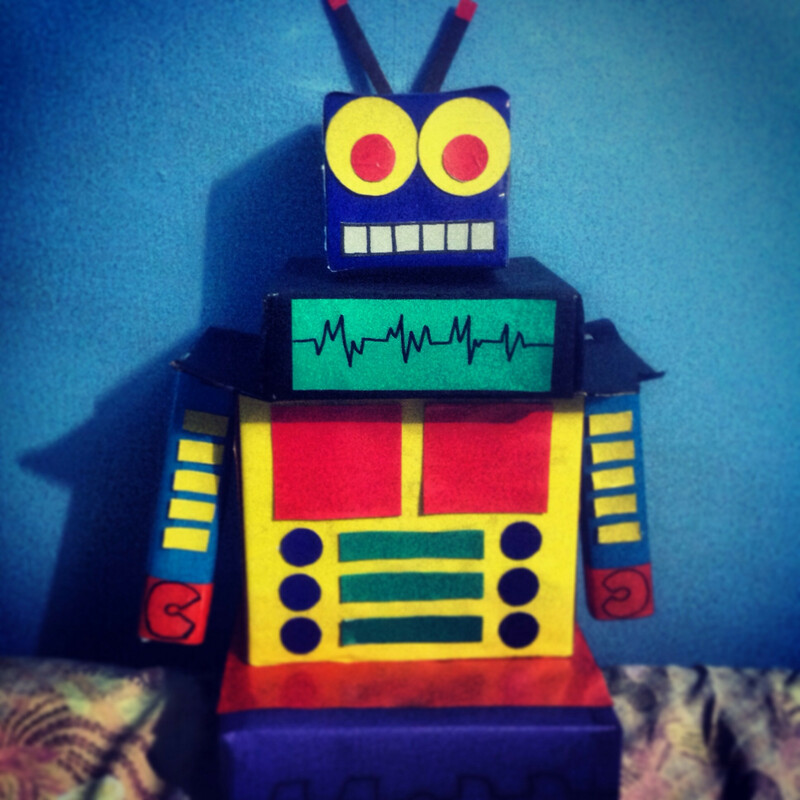 Say hello to Tom–a robot made from scrap boxes! 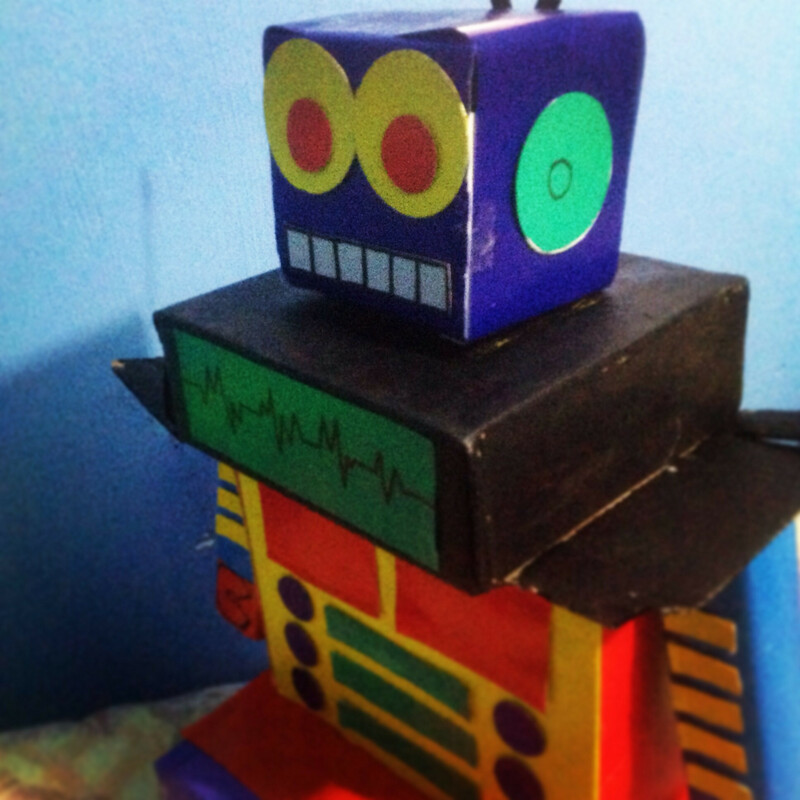 It took me about six to seven hours to turn the pile of junk above into this colorful robot figure (needless to say he’s not a real robot as he doesn’t have any mechanical parts). 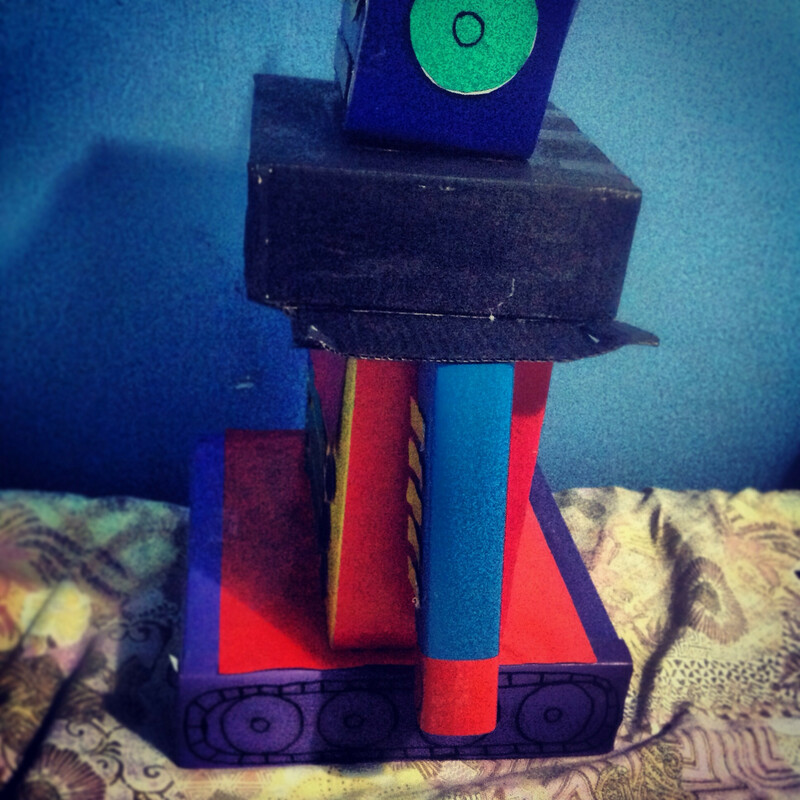 To build Tom, I used a box of powdered milk for the body, a box of yet another mug received last Christmas for the head, toothpaste boxes for the arms, and “siopao” boxes for the neck and base/wheels. By the way, for those who don’t know, “siopao” is a Chinese steamed bun. It’s really good; in fact I’m kinda craving one right now. Planning was very quick. 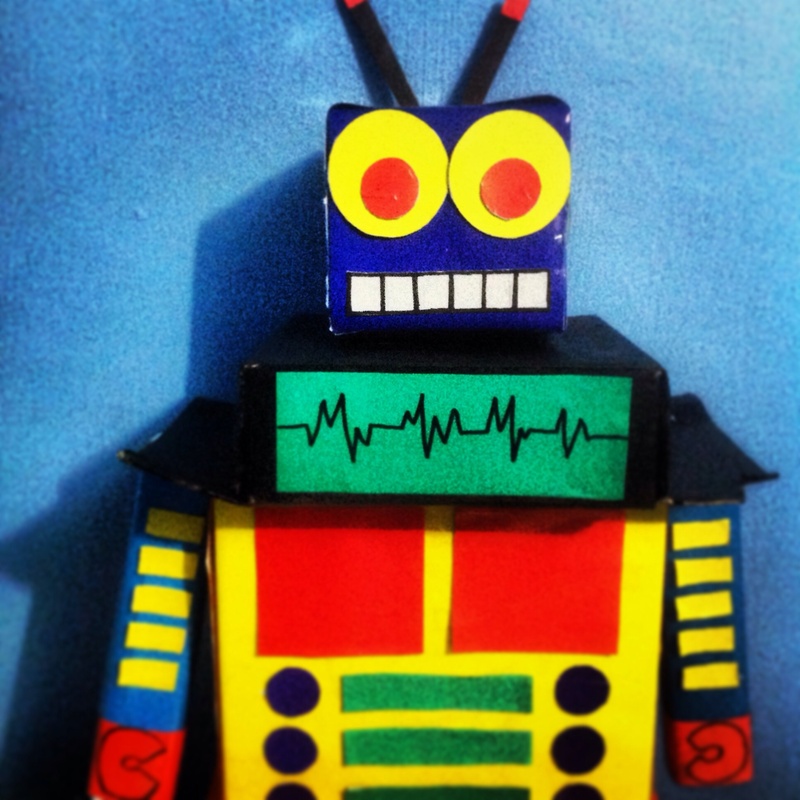 I rummaged the pile of junk for boxes that could look like body parts and stacked them up to imagine how the robot would look when it’s done. 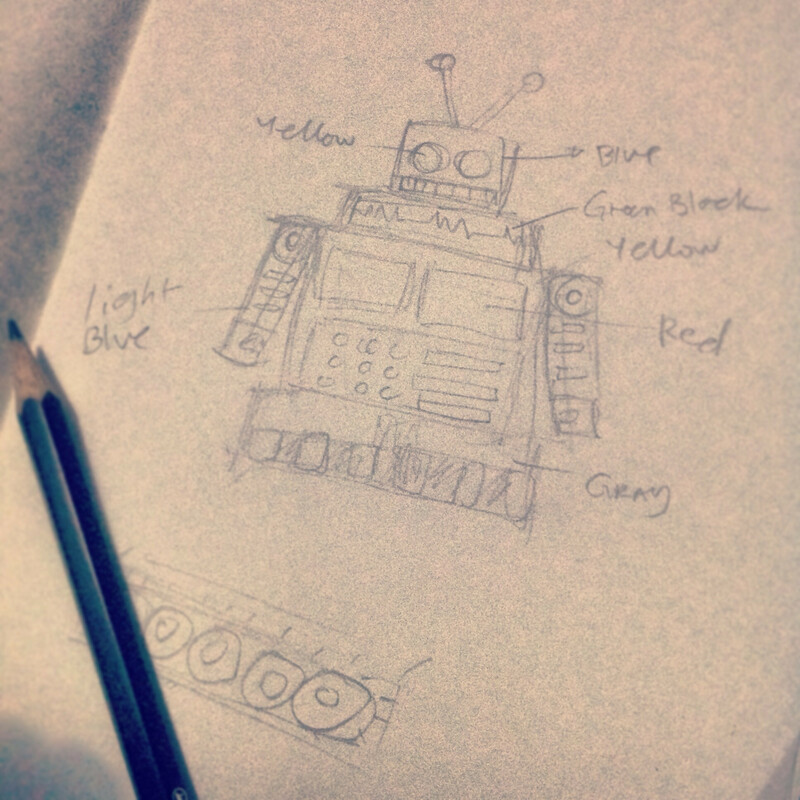 I then sketched a quick “blueprint” of the robot, taking note of the body parts’ colors, which I thought from the very start was the most important part of the whole process. Choosing the wrong color combination could really mess up the entire thing and make the finished product an eyesore. The hardest part was covering each box with colored paper because it’s very tedious work. I’m bad at wrapping in general, so it couldn’t be helped that Tom had way more strips of adhesive tape than he should have. 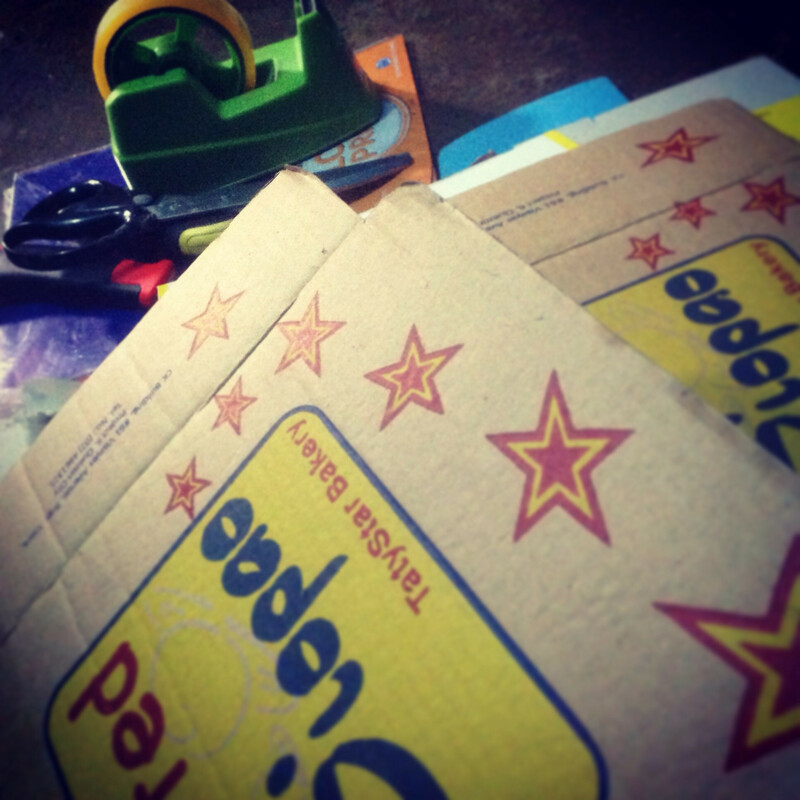 But once all the parts were wrapped, putting them all together using a glue gun was a breeze.